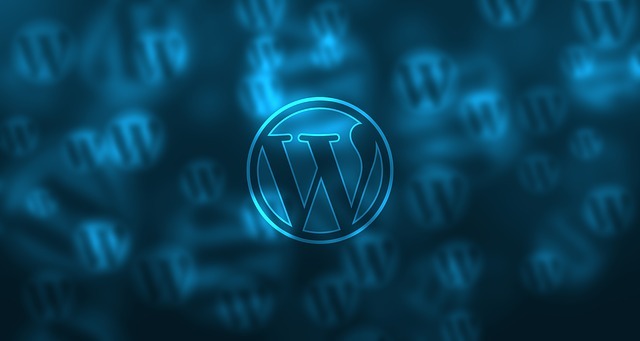 Plugins are what make WordPress really effective and user-friendly. They make it possible for you to come up with a website that you can later on change or alter however you want. No WordPress sites are totally the same, of course. There are plugins I’m using right now that you may not consider using for your site. A shopping cart could be what you need, while a YouTube gallery might be what’s missing in my site. You may also want to have some pricing tables, while I may just need an events calendar. While all sites differ in so many ways, there will always be some things that are common in almost all WordPress sites. Just like any other sites, yours need effective SEO, good security, user-friendly social sharing buttons, proven spam protection system, plus a reliable backup solution. My goal here is to familiarize you with some of the best and most commonly used plugins for such areas. Take note also that the plugins you will learn about here are for free although there are a lot of premium plugins out there you can choose from. WordPress SEO – This is among the most widely used free SEO plugins available today. There is nothing so surprising about this fact because this plugin can really do a lot. In fact, some find it overwhelming already. All In One SEO Pack – This used to be the among the most powerful plugins available until the WordPress SEO came along. Through this plugin, you can become familiar with the basic principles of SEO. This is preferred by many because of its simplicity and ease of use. Google Sitemap Generator – Sitemaps are files that make it easier for the search engines to locate all the pages on your site. Basically, this is just a list of all the links leading to the different pages on your site to be used by the search engines and not humans. This function is actually incorporated into the WordPress SEO plugin, but the Google sitemap generator plugin is a great alternative in case there is a problem with the function of the plugin. W3 Total Cache and WP Super Cache – What these plugins do is speed up your site through the static files of pages you that they create on your site. This is what caching plugins do. The pages are then delivered to your site visitors. This is a good alternative to making multiple database calls whenever someone visits your site. Needless to say, your site visitors are the ones who will benefit from a faster site. Not only that, this is great for SEO as well. Search engines acknowledge the fact that visitors deserve fast sites, which explains why speed is an important factor on how websites are judged by search engines. Perhaps one of the most essential yet complicated topics to discuss about building and maintaining websites is its security. For an ordinary individual, the technicalities involved can be overwhelming and very confusing. It is therefore not surprising that many website owners don’t bother much in addressing this issue. In most cases, it is enough for them to CONSTANTLY update their WordPress core every time there a new version is available and use only those themes and plugins that come from reliable sources. Doing those things may help, but they are not always enough. Thus, it is recommended that you use a plugin that will alert you when there is malware on your website. Without this, you will run the risk of having malware on your site without your knowledge. It can get all confidential information about your site and even your visitors. There seems to be no stopping the popularity and significance of different social media sites, including Twitter, Facebook, G+, and many more. Aside from the fact that they offer a great means of reaching more users or fans, social media sites can also help you determine what SEO score your site gets from search engines. Simply put, there are many good reasons you should use the social media. Sociable, Share Buttons by Lockerz, and Share This plugins are all well-known for promoting the sharing of all the information in your website among its viewers. Another amazing kind of plugin can also automatically add links into your Facebook account every time you have a new post to published – Add Link to Facebook. BackWPUp – You may use this to back up your site to any online storage solutions, including Amazon S3, Dropbox, etc. BackupToDropbox – This is the plugin that is made particularly to automatically back up to Dropbox. BackUpWordpress – If you want simplicity, this is the plugin for you. The backups here are stored on your server. There you go! While there may be cases mentioned above that may not be relevant to your situation, these are the five plugins you cannot do without. If you still lack any of them, it’s never too late for you to have them!